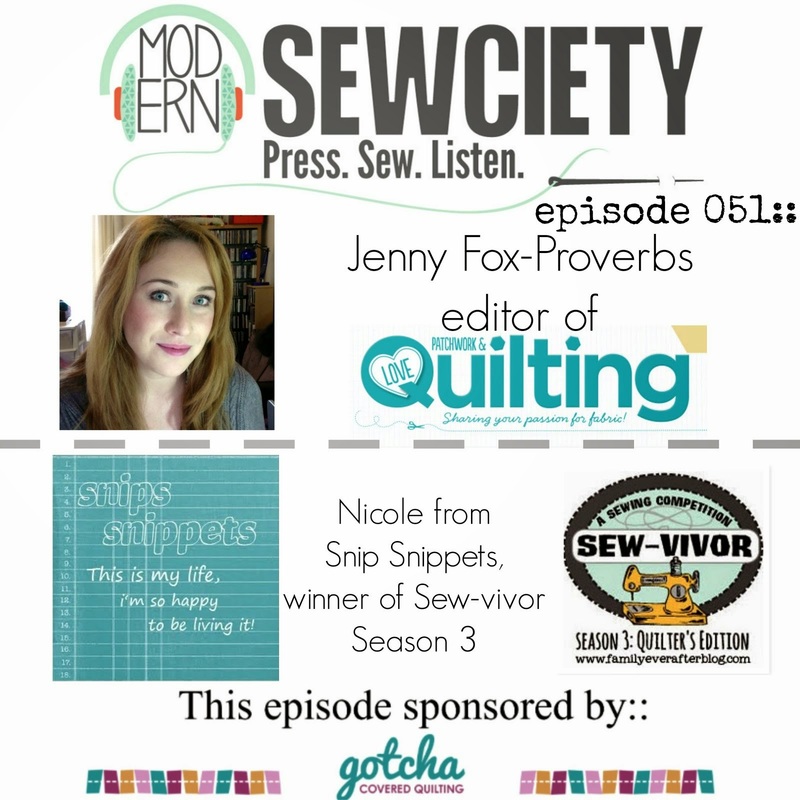 snips snippets: WIP Wednesday - the Gypsy Wife Quilt edition! 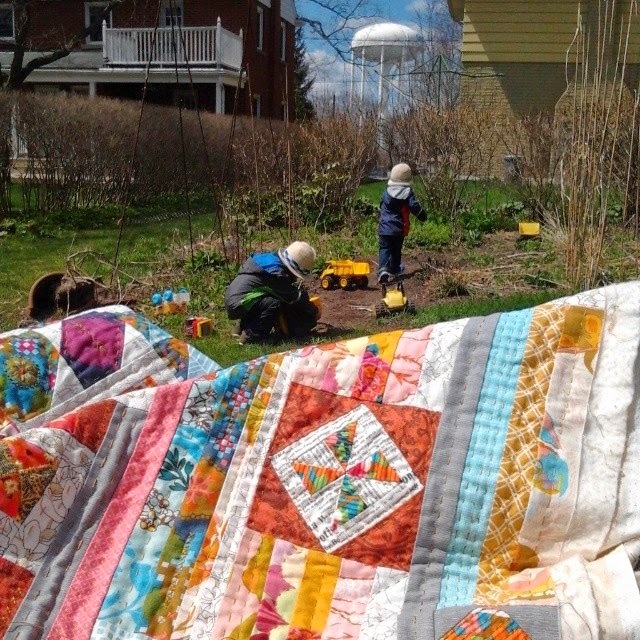 The quilting is beautiful and sooo complementary to the quilt blocks and fabric! May 16th is coming up so fast! Fingers crossed you finish in time, I can't wait to see the whole thing. Oh, wow, this is awesome. 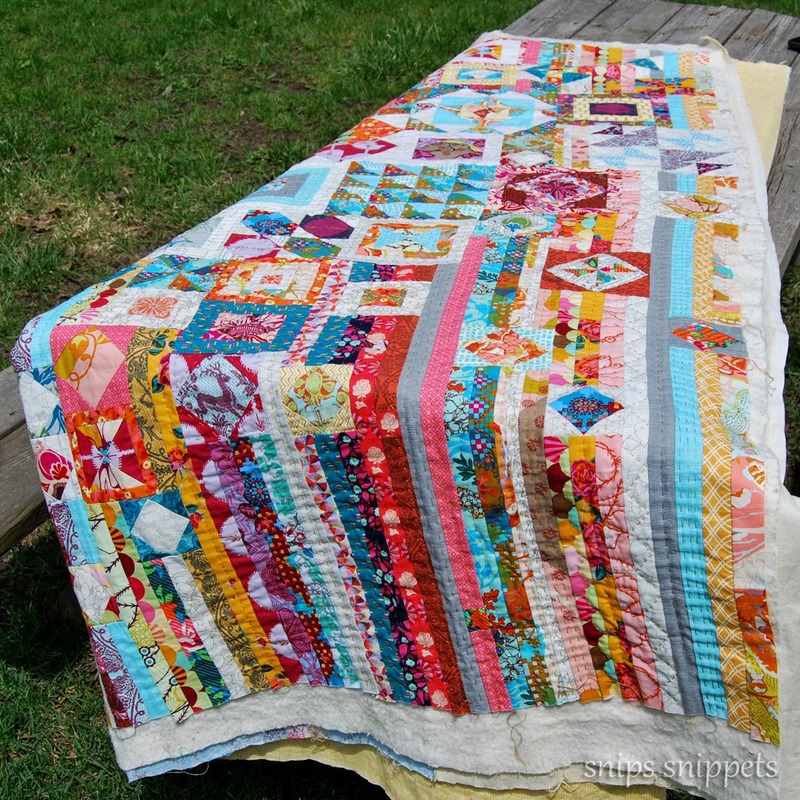 I love the colors, and it's so cool to see hand quilting! What a treasure you are making. Good job! This is going to be amazing. So far, I've kept myself from buying the pattern, but the more versions of it I see, the more I want to make one for myself. Amazing!! What a great project to take your time with. Beautiful! So good, Nicole! And you're totally right - those fabrics were pretty much made for some hand quilted details :) Can't wait for the final reveal... and your tips! I will admit, I got a little bit excited when I saw the first pic. I love the quilting details!! I'll really enjoy admiring them when you send the quilt to me, cause that's who you're making it for right ;) I also am admiring the green grass you seem to have- sigh- someday it'll stop snowing here (I hope). If you need me to, I can totally cheerlead to help you finish- 2,4,6,8, who do we appreciate...yay finish! (ya know that kind of thing- wouldn't be annoying at all hehe)! Can't wait to see it all! Yay! I love hand stitching addition. I wonder what the back looks like. 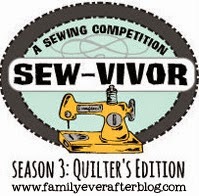 Are you sewing through all 3 layers? I like it! Love the hand quilting too. I've not done much hand quilting myself, but hope to. I hope one day to make a Jen Kingwell quilt, when I feel experienced enough. Yours is so gorgeous, and I love the hand-quilting. I've two very slow quilts in the world that I want to hand quilt, so I'm loving seeing you experiment and decide block by block what to do! Beautiful quilt! Can't wait to see it all done. oh my goodness! gasp!!!! This is so beautiful Nicole! I can't wait to see the big reveal. I really admire you for taking on all of that hand quilting. It is making it truly special. Love all the close ups!!! Makes me want to go work on my blocks NOW. I'd love any tips and thoughts you have on construction. I think you might be right about a page tab you can add to. Really looking forward to the finish! What will you make this in next time? Stunningly beautiful close ups. A lot of work but well worth it. I like your idea of a separate page even for your self to document your process. Will be fun to look back on! Okay, you won me over, I've succumbed. Yours is STUNNING!! I just bought the pattern, so I'd (personally) LOVE tips and tricks to help me along. How do you think it'd look in all solids? Not as brilliantly beautiful? By the way, your hand quilting/embroidery looks fantastic!! Isn't it just so satisfying?? This is all kinds of gorgeousness! It will be your masterpiece....until you make your next one :) I can't wait to see this when it's done. I've been saving this post to come visit when I had more ooogling time. This deserves to be stared at and admired for lengthy amounts of time! :) I am loving all of your hand stitching choices. It gives it even more personality and charm! I'm definitely coming to you for tips when it's time to hand quilt my epp project. Its so cool that you're hand quilting this! It is really the prefect finish! I would love help on the construction. I'm nowhere near finished but am already frustrated with the number of errors. I LOVE the final look so I'm persevering. The hand quilting is wonderful personal touch to your beautiful quilt. Homestretch with an finish in sight, congrats. Quite honestly, the gypsy wife blocks were not really appealling to me (that's not anything to do with your work, it's just the design - it's all a bit too busy for my liking). But seeing it with the hand quilting has made it into something else altogether. It's really beautiful. great work. How did you do those little knots in the third picture? I would like to do that for a quilt idea I have. Nicole, this is one of the most amazing quilts I've ever seen. So gorgeous! Thx for sharing with us. I love that you allowed your brain to work through this quilt instead of simply throwing this lovely creation on a LONGARM just to say "It is finished. In my opinion, this is true Artistic Talent. Thank you Nicole for letting us ride along. It's been stupendous! You're a no reply blogger so I hope you pop back for this! Thank you so very much! It's been a long ride with this one and still not fully finished, I still pick it up now and then and add more stitches to it! But has been worth every last stitch. There were times when I thought I should have just had it quilted but in the end I'm so glad I made the decision to hand quilt it myself. Thanks again! !